Are you interested in renting regardless of your credit history? We take the time to become intimately aware of your individual situation so that we can deliver the service to meet your expectations. You have a job. Here you are you made it. You have your life in order. You come a long way. Working on your credit, new job, money in the bank, maybe some assets. If you are looking for a no credit check apartment or bad credit rental we can help. Let us show you who to Anchor Your Assets Lease Guaranty, can help you get the most of where you are so you don’t have to go back to yesterday. Let Anchor Your Assets Lease Guaranty help you with your final stretch of your home run. What does that mean? A safe place you your family, your family, your spouse, a place you can truly call home. How can you find a No Credit Check Apartment? Anchor Your Assets Lease Guaranty has a unique relationship with property management companies, apartment complexes, investors and property owners across the country that are willing to help you move in to the luxury apartment you’ve been driving by to complete your turn around in your life. Or that beautiful home in that perfect school district that you were just wishing you could have because your child deserves it. Anchor Your Assets Lease Guaranty will give you a complimentary list of property management companies, property owners, home options and even rental guaranty services that charge a fee for their service that guarantee your performance of the lease to a landlord or property management company, is it worth it to you? Would you pay that extra fee to let someone help you? Is it worth to pay the special landlord or property management company an extra security to live where you want to live (not where you have to) for the safety and comfort of your family? Contact us and we send directly to a company, owner or landlord that can help you. Pick from a preferred property list or a list of available properties, work directly with the company or property owner that we send you. If you select the property you like, pay the additional fee they require to help you out and take a chance on you to help you rebuild your rental history. So what happens when you don’t work with anyone or don’t like the company? You PAY NOTHING. Nor do you owe us a fee. So what happens if you do like a property and you are ready to move? Just work directly with a company or the owner and pay the additional fee when you are approved. Sound fair? Just contact us below and let’s get started. What do you have to loose? Over the last few years, you might have undergone several issues with your credit scores like millions of people throughout the world or even like the people in the USA. Simultaneously, you might see that the criteria for foreclosures as well as strict lending issues caused single homeowners to look for rental markets. In fact, you may find it difficult to get a rental approved with your credit issues because landlords in general run a credit check on their potential tenants with the help of management companies. So, save time and money before looking for no credit check apartments by checking to see if we can help you. We are here to assist you with all your concerns regarding the approval of your rental application. Worrying about getting a cosigner or finding the perfect home that does not check your credit? Do you feel helpless without finding a co-signer or applying for a home you like and getting turned down? Just shake off your concerns of co-signer as we can be by your side. You do not need to worry about your credit score when working with us. 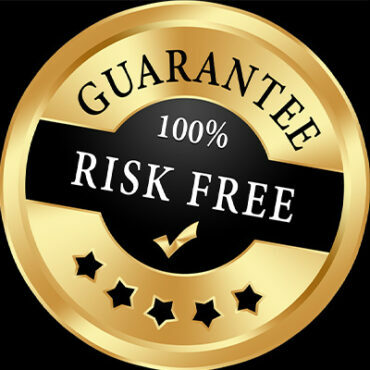 Unlike many companies, we do not make some unrealistic offers, very simply only help you if we can guarantee you approval so you don’t have to worry about trying to find only no credit check apartments and we can also help you with a bad credit VA home loan. Very simply, our commitement is for you to have a best-in-class experience as you relocate and find no credit check apartments. including popular areas like NY, CA, Texas (popular cities like Dallas, Houston, Arlington, Ft. Worth and Denton) and all other US States! Our economy has brought so many challenges across the four that the need for no credit check apartments is becoming greater and across the board finding a good home with a credit challenged background is becoming greater challenge. We believe it’s not just about finding an apartment but finding an apartment or home that you look forward to going to everyday. One of the many challenges in finding a good home is this some of our neighborhoods that apartments or homes that don’t check credit that are available. There is a great need for people (including Spanish speaking hard working americans buscando apartamentos para rentar sin credito) that are hardworking pay their bills are just at some charging situations in life I just need a nice home to enjoy regardless of past challenges. Our program is designed for people that are working have stable income and just need a little help getting approved for an apartment or home of their choice. © 2017 Anchor Your Assets Lease Guaranty. All Rights Reserved. Anchor Your Assets Lease Guaranty headquartered in New York, NY serves as the most trusted apartment lease guarantor and apartment/home cosigner serving the entire USA.